Your pacemaker is designed to help your heart by keeping it beating in a normal rhythm. But, in rare cases, an implant can lead to a dangerous infection. Learn more. A pacemaker is a life-saver. It faithfully keeps your heart beating at a normal rhythm and helps manage your health condition. But in rare cases, an infection related to your pacemaker can put your life at risk. And, because the infection is sometimes internal, you may not realize you’re in danger. 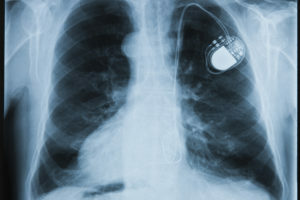 Cardiologist Bruce Wilkoff, MD, Director of Cardiac Pacing and Tachyarrhythmia Devices at Cleveland Clinic, answers questions on what you need to know about pacemaker-related infections. A: Implanted pacemakers normalize your heartbeat with a steady stream of electric impulses. In most cases, the device sends these impulses through leads attached to your heart. Researchers are testing leadless pacemakers, but most still have leads. Infection related to the leads is rare, but possible. Q: When are these infections likely to occur? A: Pacemakers are implanted and replaced through small incisions. Most infections occur after surgery. The infection rate is slightly higher for replacements: About one-half of 1 percent of initial implants develop infections; infections occur in about 2 percent of replacements. Q: Where does infection occur? A: Most infections start in one of two places — at the incision site or where the leads connect to the heart. Internal infection can spread unnoticed, typically from various types of staph bacteria. A sticky film develops that makes clearing the infection impossible — even with antibiotics — unless the pacemaker and leads are completely removed. Q: What signs and symptoms should you watch for? Q: How soon will you notice symptoms? A: Infection symptoms may go unidentified for many months. About half of patients who develop an infection address their concerns with a doctor within a year of surgery. Nearly an equal number might not recognize anything is wrong for more than a year. If you notice you’re still not feeling well after you’ve had time to recover from your implant surgery, you should talk to your doctor. He or she may diagnose the problem with examination of the implant site, blood tests, blood cultures and echocardiogram. Q: How dangerous is a pacemaker-related infection? A: Your doctor must address the infection once it is identified. Pacemaker-related infections are a special type of bacterial infection, called endocarditis. It’s the same life-threatening infection that affects the lining of your heart valves. These infections aren’t immediately lethal. Over time, however, the infection attacks your heart valves and can spread to your lungs and brain via the bloodstream. If it isn’t treated, it is sometimes fatal. Q: Who is at risk for infection? A: There is a slight infection risk for all patients who receive an implanted device. Q: What are your treatment options? A: The only treatment option is removal and replacement surgery. Your doctor will remove all the leads and any infected tissue. He or she will carefully remove any part of the device that has adhered to the heart tissue or veins to avoid tearing. 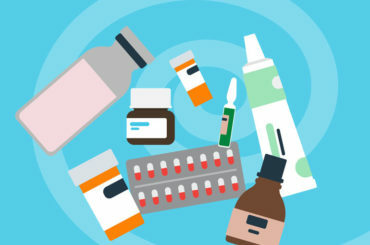 The physician will implant a new device in a different location (such as in the opposite shoulder), and will prescribe a regimen of antibiotics. Q: Can you guard against an implant-related infection? A: Although there’s no sure-fire way to avoid infection, you can improve your odds of finding problems early. Watch your pacemaker site and do careful checks each month. Does it look the same as it did before? If you think something is changing, contact your doctor. See your doctor at least annually for a regular check-up. Go more frequently if you notice any problems.